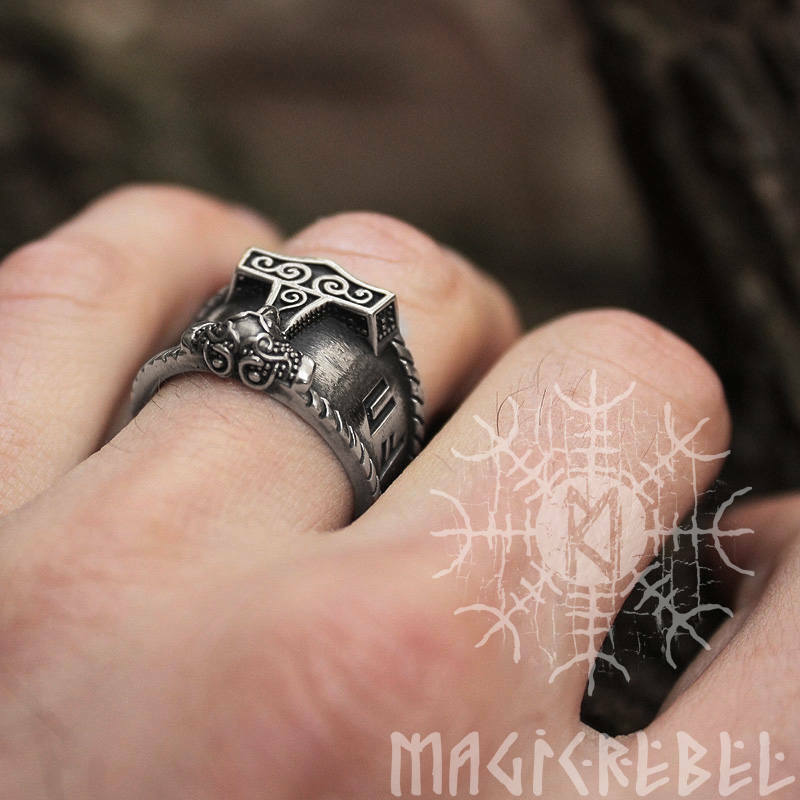 This is a pure 925 Sterling silver 3-dimentional hand-crafted antique finish adjustable size ring . 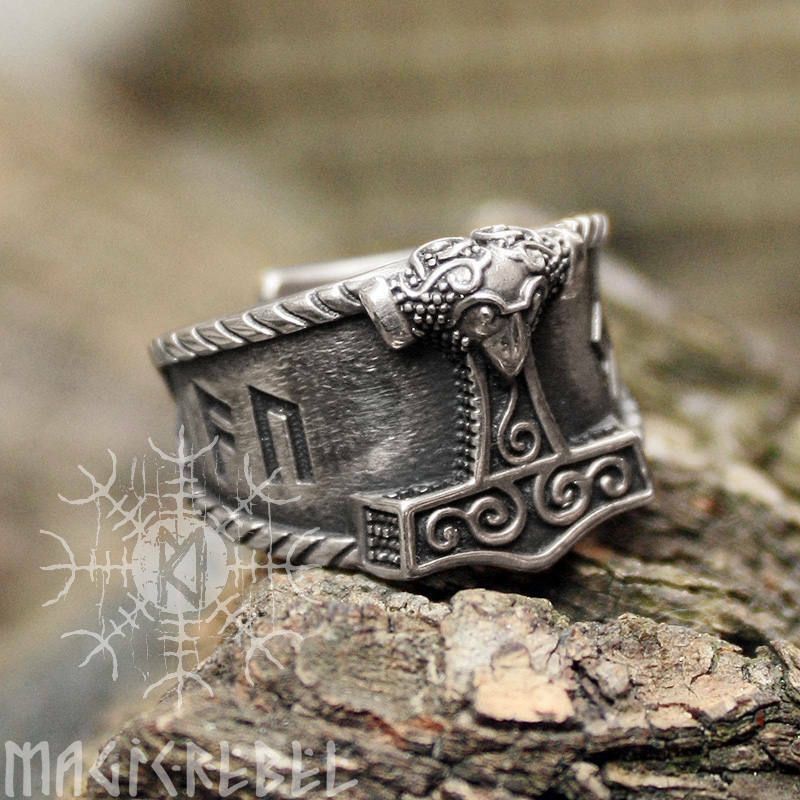 The ring is a mini replica of a real Thor hammer found during excavations in 1877 in Skåne, Sweden. 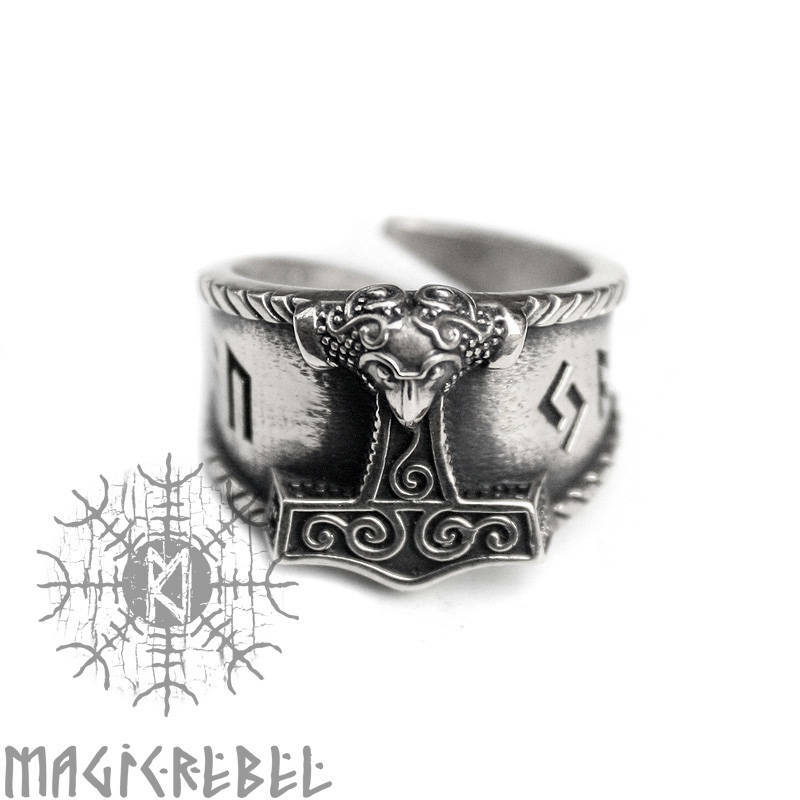 The four runes on the ring are Ansuz, Uruz, Jera, Ansuz. 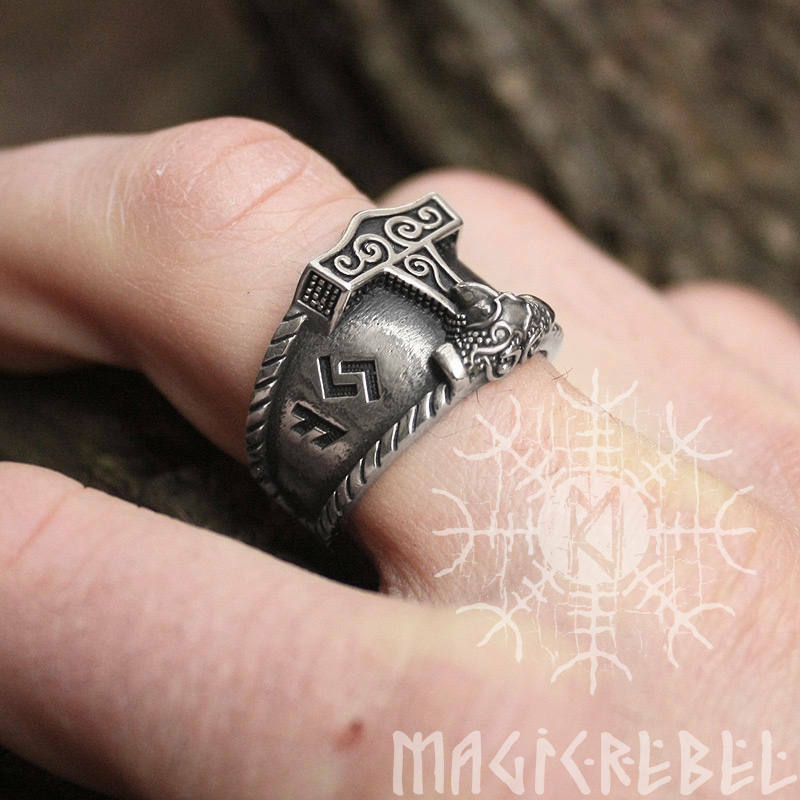 Runes that are used in combinations carry own unique meanings or spells. The four runes used in this sequence: Ansuz, Uruz, Jera, Ansuz create a widely used word 'auja' which means happiness, luck. 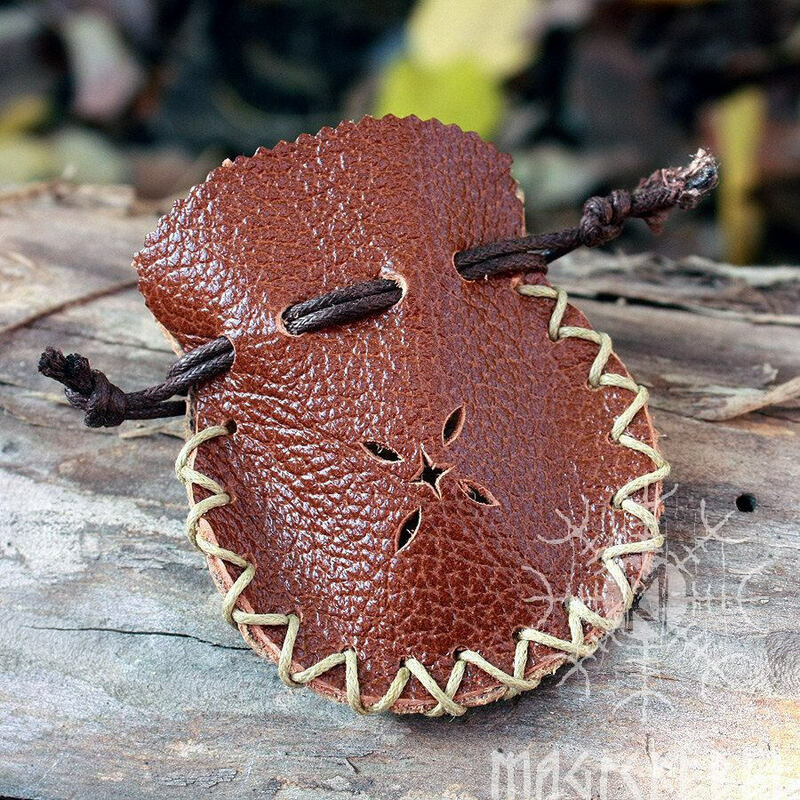 The magic word auja brings good luck to its owner. 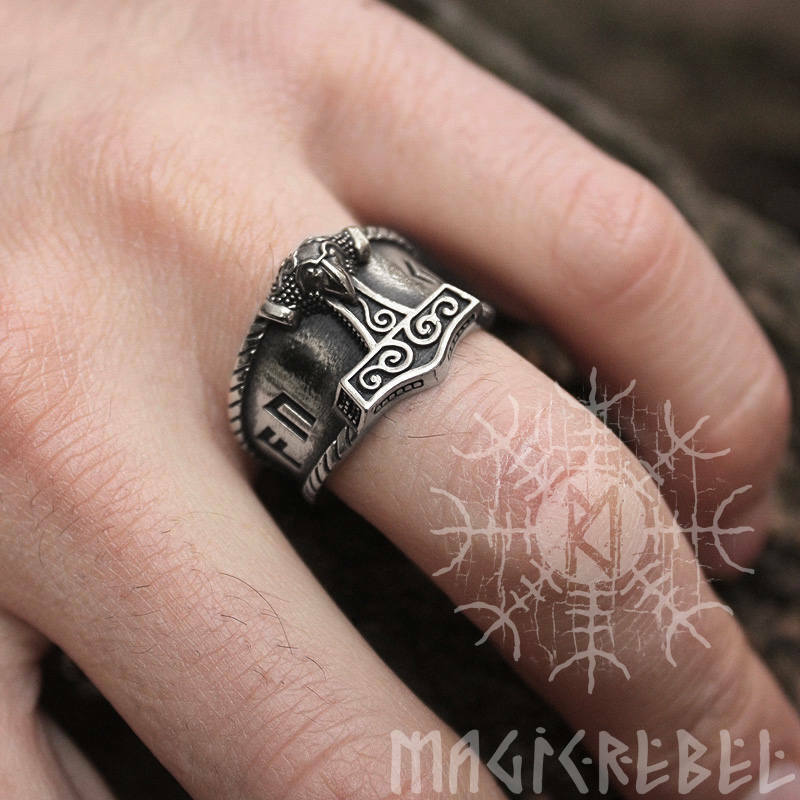 The ring comes in one size 9 US (19 mm) and can be adjusted to a couple of sizes up and down. We don't make the ring in any other sizes.